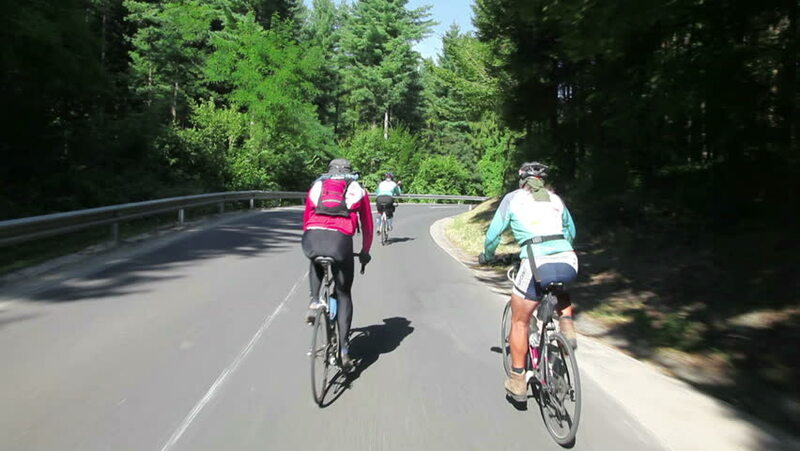 hd00:13VRHNIKA, SLOVENIA - JUNE 2014: Four bikers speeding downhill on countryside. Driving passing professional bicyclists racing in competition around the countryside. 4k00:14MOSCOW - APR, 24, 2016: Two women and girl (with model releases) near two boys ride bicycles in park, mobile phone video. Cyclists will arrange ride in park Losiny Ostrov and invite all comers. hd00:11NEW YORK - CIRCA June, 2012: Tourists and local people riding bicycle in Central Park on a weekend.